If you got used to the fact that coconut oil ‘lives’ in a jar and comes in the form of a white butter – you will definitely be surprised with the new product promoted by OGX. Shea butter – regenerates and nourishes hair, contains vitamin A, provides resilience and adds gloss. African shea butter also protects hair from harmful effects of high temperature. Bamboo extract – for ages known as a strengthening and regenerating remedy. It provides natural protection against damage and has the ability to enlarge hair volume and ensure the proper level of hydration. Proteins – are responsible for beautiful appearance and provide strength, in consequence strands are resistant to damage and stop falling out. They are essential in hair care because of the ability to fill cavities along the hair shaft. 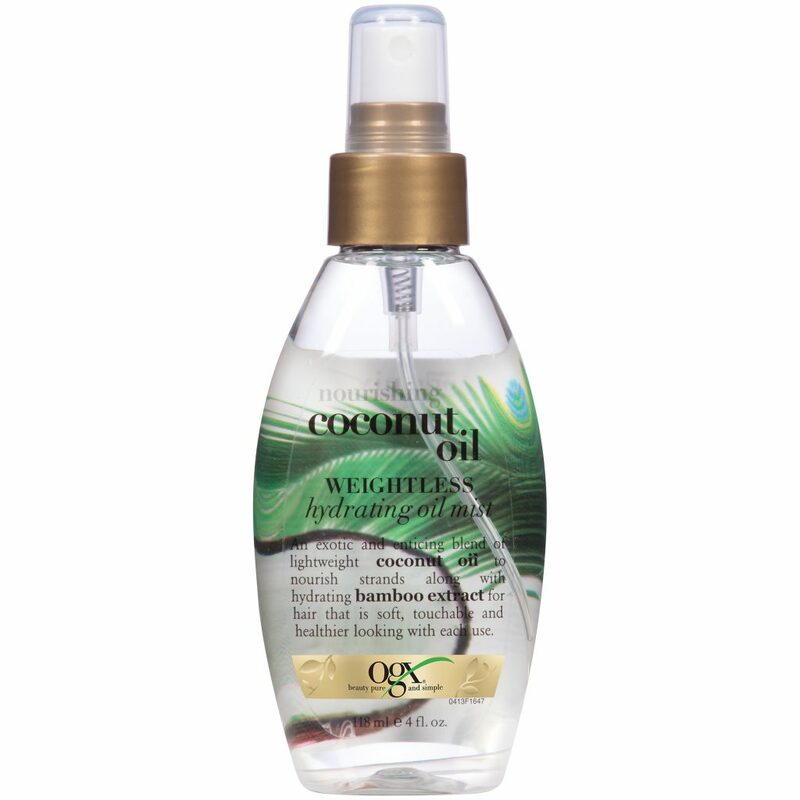 Previously mentioned coconut oil provides hair with protection against mechanical damages and high temperature. It contains natural UV filter that protects wisps from strong sun radiation and other harmful external factors. Moreover, oil from OGX is rich in vitamin E also called the vitamin of youthl therefore, it slows down hair ageing processes. OGX product is very gentle, efficient and has a very nice scent. It is definitely worth recommending. The product will be useful during all seasons of the year.